I’m striving to reach the top. It’s a daily uphill climb. If I stumble or slip, I imagine the beautiful the view, and it encourages me to keep going! 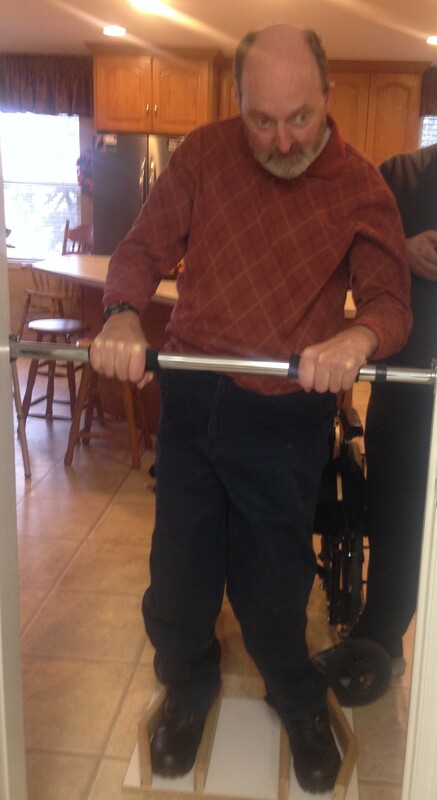 Over the past seventeen years, Mark’s exercise program has changed a bit as he has improved or his needs have changed. On Monday and Wednesday nights, when the volunteers come to help Mark, we start by getting him down on carpeted floor. This takes two people, one on each side. Exercise tools: a 2′ x 4’sliding board, 2 barbell weights, 12 plastic cups, 2 wash cloths, folding chair, doorway bar and walker. 6. CRUNCHES – This exercise uses 12 plastic cups. For this exercise a person sitting on each side of Mark will help stabilize his bent knees. One holds the stacked cups at Mark’s shoulder height about two feet from his shoulder. Mark reaches across his body with his right hand to get one cup that is held on his left side. Once he has the cup, he puts it in his left hand and reaches across his body to set the cup on his right side. This exercise rotates the upper body while the lower body is stabilized. He will move the stack of cups to one side and then back again. 14. TALL KNEELING – Again, with the use of the back side of the folding chair, Mark wil climb up until he is on his knees. Move the chair and have Mark balance on his knees. A person needs to be on each side of Mark in case he loses his balance. Balance at least 60 seconds without holding onto the chair. 15. 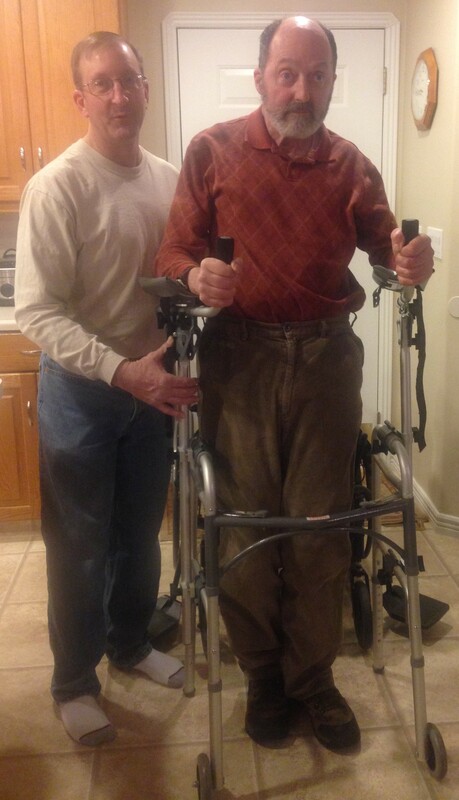 STANDING – From the tall kneeling position, with a person on each side they will assist Mark in standing up. 16. BAR STANDING – We have a bar that runs across a doorway between braces. We also have a foot brace for Mark’s feet while he does this exercise. Mark stands, holding onto the bar for at least 60 seconds. It takes another person to assist him up to the bar and give verbal cues in keeping his balance with upright posture and straight knees. 17. 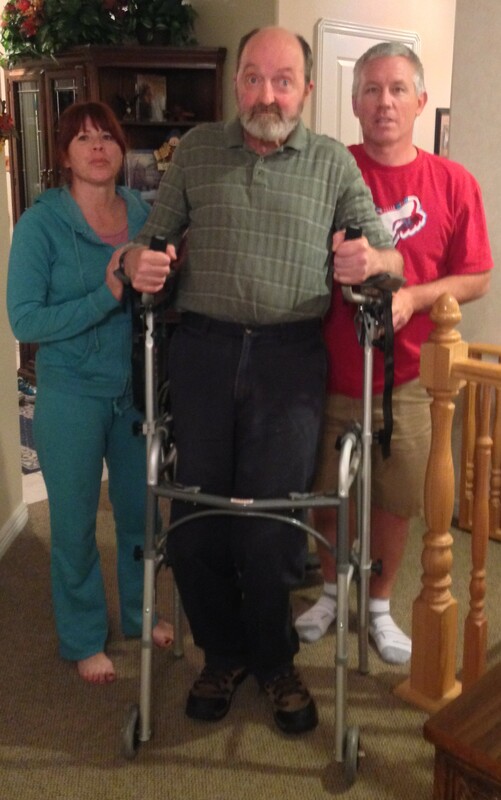 WALKING WITH A WALKER – Mark can walk with some verbal cues and support. One person should follow behind him with the wheelchair so he can rest when needed. This is done around the house or outside when weather permits. Usually takes 5 to 10 minutes and is Mark’s goal for the night. Click below to see Mark walk. The Miracle of Volunteers: part 2, Draper, UT. Five years had passed since the car accident, and by then we realized that Mark’s mobility was dependent on the daily practice of movement. 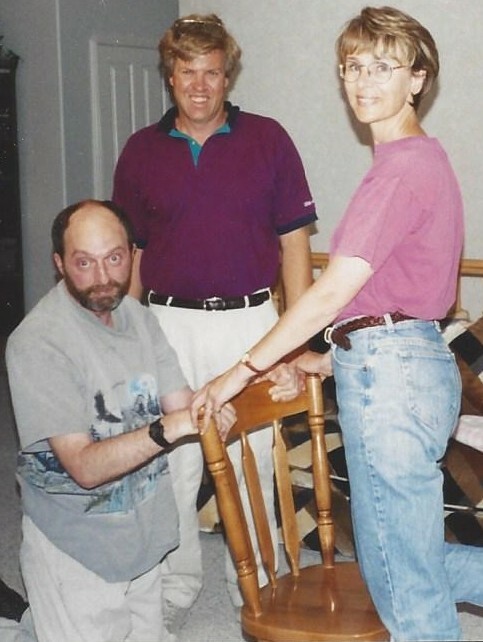 With no more therapy benefits allowed by the insurance company and a move from our Sandy home to Draper, UT, all of Mark’s exercises were now dependent on my help. 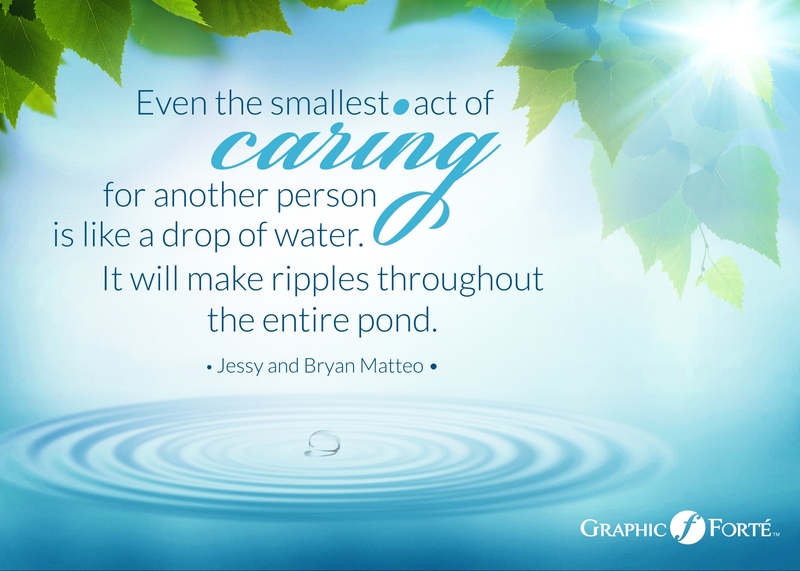 Our two children, Christopher, then 13 years old, and Katie, twelve years old, helped a lot with the house and yard chores, but I wanted to protect them from the caregiving of their dad. With our queen-size bed substituting as a mat, we had a stretching routine where I assisted Mark with range of motion exercises every morning. I didn’t have the knowledge of what else I could do for Mark at home. Over time, I became concerned that Mark was losing some of the abilities he had worked so hard to gain. I didn’t share my concerns with many, but one day I mentioned it to Holly Dudley, during a visit. Unbeknownst to me at the time, her husband, John Dudley, was a chiropractor, and Holly shared my concerns with him. 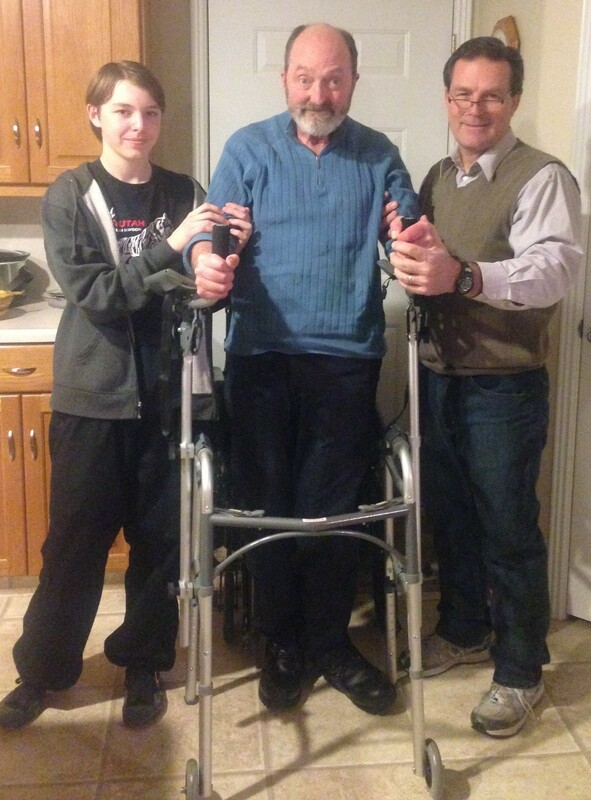 While living in Canada, John, with other members from our church, had helped a man with disabilities do exercises. He felt certain that he could implement a similar program for Mark. John came over, and together we got Mark down on the carpeted floor in the main living room. He showed me some of the exercises they did and we discussed several other exercises he thought would be helpful for Mark. “Would you mind if I put together an exercise program and talk to the bishop about getting some volunteers to assist you with the exercises?” John asked. To be honest, I felt embarrassed and ashamed to need help. I wanted to say “Yes, I’d mind!” But I didn’t, because I knew how important it was for Mark to get the exercise. I swallowed my pride and humbly thanked him for his help. With John’s chiropractic education and experience, he came up with an amazing exercise program that could be done on the floor. He organized a schedule he passed around at church for people to sign up to help. He also held a few training sessions with the volunteers and gave us written instructions with diagrams he’d drawn for the exercises. 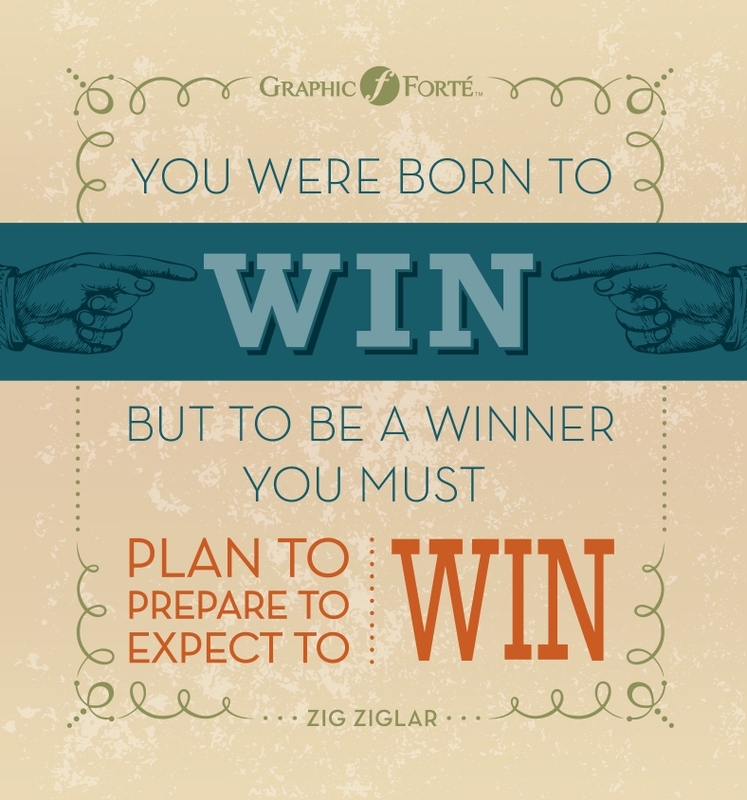 Our new program was put in place just nine months after we moved to Draper. It was a miracle to us that so many volunteers were willing to come and help us—especially when many of them didn’t know us. It was much harder to accept help from our new neighbors because we didn’t know most of them. I was afraid they would think I was a needy person or taking advantage of their time. It’s a conflicting position to need help while not wanting to need help. Since our car accident, we have been blessed by more than fifty volunteers. My heart if so full of appreciation it fills like it will burst as I think of each one that has given their time to help Mark. Many have come and gone—but their service will never be forgotten. There are four couples who have been steadfast in their dedication, and have faithfully come every month for ten to seventeen years. Needless to say, these couples are no longer neighbors and friends: they are family! We have also been blessed in many ways by The Church of Jesus Christ of Latter-Day Saints. One way, is its assistance in the organization of the exercise program for all these years. We are grateful for a loving Heavenly Father, who has comforted and guided us to guardian angels in the form of volunteers. Their time and effort, love and support, has not only lightened our load, but lifted our spirits. They’ve made it possible for Mark to gain greater control of his body, and their conversation with him has improved his speech. We are forever grateful to each one of them! Jim & Michelle Bonner Who have come for 11 years. Ellen & Mckay Douglas- The bishop who originally helped organize this program 17 years ago. Paula and Dan Bergenthal, with their kids, David and Jared. They’ve helped Mark for 14 years. Jared was just a baby then. They’ve helped Mark for 17 years. Steve Reidy and David Carr. Wayne Burton and Jake Dotson. I hope to get their pictures and add soon. ****************************** Every Monday and Wednesday night we have someone here to help Mark with exercises. This totals, three couples, one family, plus four men who usually bring a young man with them. Each pair comes once a month. Tuesday Tips will describe the exercises Mark does with their assistance. 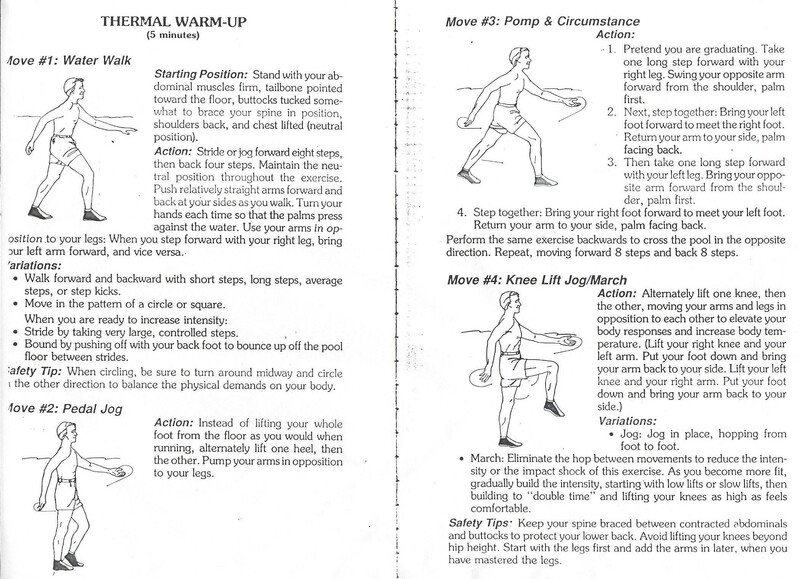 As requested, I’ve made a list of some of the exercises we did with Mark in the pool. I believe there were more, but unfortunately, I’ve forgotten. 1) With a foam kick board held at his chest, Mark would kick to the deep end of the pool. Once at the deep end he would hang onto the side of the pool and do more kicking. 2) While lying on his back, with arms straight out at shoulder height, he’d move straight arms in a circular motion. 3) While lying on his back, with arms straight down by his side he reached up as high as possible and then down towards his side again, repeating several times. 4) While lying on his back, with his legs straight and together, he would push outward and then back together, repeating several times. 5) Putting exercises #3 and #4 together, while lying on his back, he would move his arms and legs straight out and back in, like making a snow angel in water, repeating several times. 6) While lying on his back, with straight body, he would roll completely over. He always needed more assistance for this one. 7) Mark used the foam board again to kick to the shallow end of the pool. 8) With a walker put in the water, Mark would walk in the water. For Mark’s safety, there was always a person on each side of him, but the water allowed for greater range of motion, helping his flexibility. Besides the mandatory swimming suit, Mark always wore a life jacket and water shoes to help maintain traction on the bottom of the pool. There are water resistance gadgets to increase resistance for your hands, arms and legs. We never use any of them, but I’ve seen some fun devices like aqua barbells, resistant cuffs for the wrist, resistant hand mitts, and runners for the feet. A foam kick board and occasionally the foam noodles were all we used. Mark enjoyed pool therapy a lot. Exercising in the water was much easier and less painful due to the buoyancy it provides. With the weight support of the water, he was able to completely concentrate on making the movements. The deeper the water, the greater the weight support. As he progressed he could walk with the walker in more shallow water. It was amazing how much better he did in the pool than he did in his regular physical therapy sessions. Water also naturally keeps you cool as you exercise, so your body temperature remains steady with no danger of overheating, which is an added benefit. It’s just a great way to exercise! 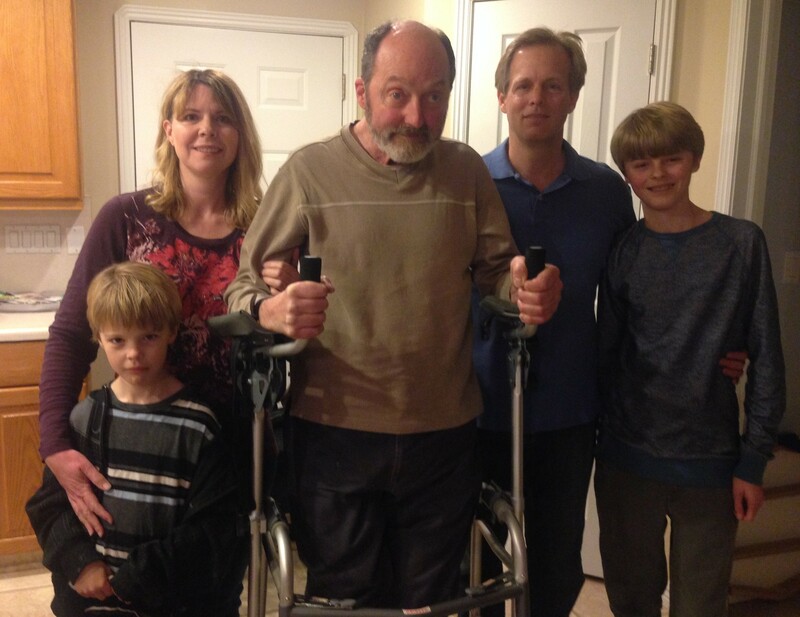 Many people assume that because Mark is confined to a wheelchair he’s paralyzed—but, he’s not. Mark has a traumatic brain injury and was comatose for three months. He has damage throughout his brain but the most severe damage was to the brainstem, which is the region of the brain that connects the cerebrum with the spinal cord. The brainstem coordinates motor control signals sent from the brain to the body, so, although he has feeling in his legs and feet, he has a hard time controlling them. It’s not that he has forgotten how to walk or talk—he just can’t coordinate the signals sent from the brain to the body. Years ago, experts believed that changes in the brain were only possible within the first few years of a traumatic brain injury. But research has shown that the brain is capable of altering existing pathways and even creating new ones. Our motivation for Mark’s continued exercises has come from the hope and understanding that his brain will create new pathways or improve the existing pathways so that he can regain control over his body. This has been our driving force for twenty-two years. 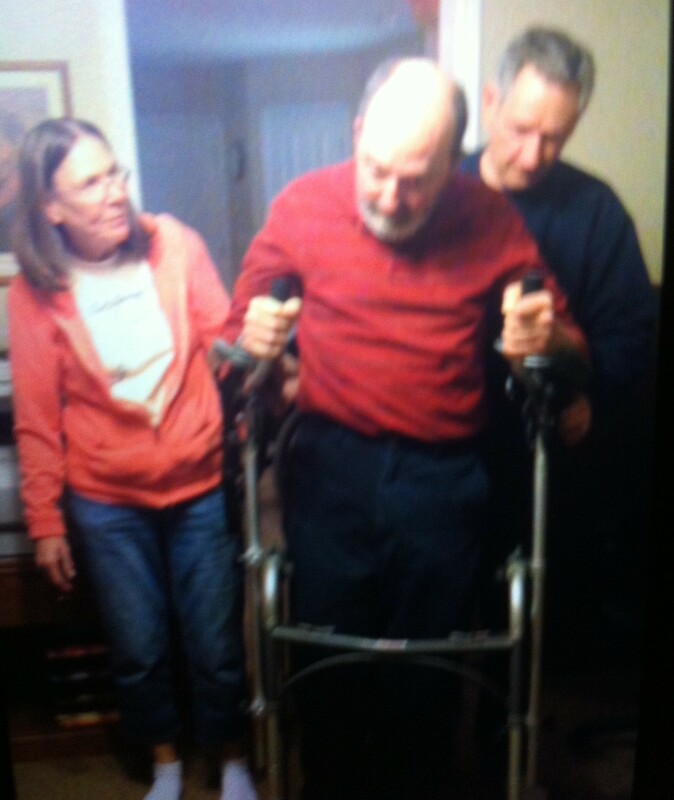 When I brought Mark home from the hospital, eight months after the car accident, he only had a few abilities. He could breathe on his own, and could eat finger foods. Using utensils was hard to do because he didn’t have the coordination. His speech was impaired, and swallowing was difficult for him. He didn’t have much control over his arms, hands, and had no control over his legs and feet. In my article title, If Insurance Denies—Make an Appeal, I explained our battle to keep therapy going after Mark returned home. I made a total of four appeals to the insurance company. In three out of those four appeals, the insurance did continue therapy, but decreased the amount of time with each appeal. Being in our thirties, we had youthful energy on our side. We hoped for more improvement, and we were determined and not afraid to work for more improvement. Needless to say, we were devastated when the fourth appeal was denied. We had been at Western Rehab for more than eighteen months—it literally had become our second home. By then we knew every therapist there and appreciated their work. They had a lot of time invested in Mark and truly cared about his progress. Part of Mark’s physical therapy was done in the pool. Western Rehab had a lounge chair which hoisted Mark in and out of the water. Wearing a life jacket he could do much more in the pool with the buoyancy of the water. Since it took two people to work with Mark, I became the pool partner with the therapist, Tawnya. Mark could move his arms more freely, kick his feet and could even walk with a walker in the warm water. We became good friends with Tawnya over the many months of working together. When therapy was coming to an end she suggested I find friends to come and help me with Mark’s exercises during their “open plunge time” for just a minimal fee. Tawnya, assured me that she would be there to oversee the group during this time, so she could continue to encourage and make suggestions of exercises we could work on. I asked a couple of neighbors to help me with Mark in the pool. The news quickly traveled in our Sandy, UT, neighborhood and before I knew it, we had several neighbors volunteering their time to help. Mark continued to progress as we worked on swimming and walking in the water. We went at least twice a week, and over a four-year time frame, there were more than a dozen people who came to help us. Each one had a specific day in a month and spent more than an hour with us in the warm water, seemingly cheerful and grateful for the experience. Most were men who came to help, but there were a couple of women also. This continued until we moved to our new home in Draper, UT. We were the luckiest couple I knew to have such wonderful friends to help and support us. We were so grateful that Western Rehab was so close to our Sandy home and allowed us to use the pool and other exercise equipment also. 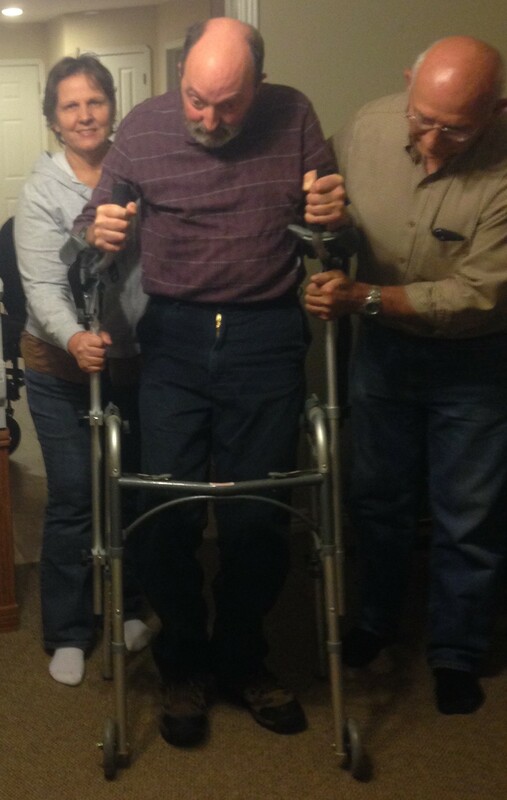 This made it possible for a determined Mark to continue exercising for five years after the accident. In 1996 we built a new home with my parents which fit our needs better—but it was so difficult to leave our beloved neighbors and friends of sixteen years in Sandy. They had truly helped us get through a very difficult time.